Being ‘in the zone’ is characterized by complete absorption in what one is doing. Other words for that state of complete absorption are ‘in the flow’, ‘being in the present’, ‘in the moment’, ‘on a roll’, ‘in the groove’, ‘on fire’, ‘in tune’, and ‘centered’. I used to get in the zone when photographing events. One time I was photographing a kids’ soccer game and two boys collided in mid-air while going after the ball. A parent standing near me asked if I got that shot. I explained that often my finger works independent of my consciousness, so I might have gotten the shot. Sure enough when I reviewed the pictures that night, I got the shot perfectly as the two boys vied for the ball in mid-air. So I know how to be in the flow. But how do you get in the flow on purpose. You hear about an athlete being in the zone. You also hear about a writer who talks about the words just pouring out of him and onto the page. So it can happen in athletics as well as in intellectual pursuits. First of all, there is no flow in new activities. Flow happens when you’re not even trying, when you’re just doing it without consciously trying. That doesn’t happen until you’ve put in hundreds if not thousands of hours of practice. Flow kicks in when the subconscious takes over from the conscious mind. Other ways to get in the flow may be through meditation or through visualization. So – how do you find this elusive flow? There are several things you can do. Find the right environment. May be if you are writing, you have a desk with flowers on it, or you have a favorite spot out in nature. If you are an athlete, you may do best on the ‘home court’ advantage. Your special space helps you get into the zone. Time of day. I once had a coaching client who could best give her complete focus to our sessions at 6 am. While that wasn’t my favorite time to work, it made such a big difference in her receptivity and ultimately her success that it was worth getting out of bed for. Music. There are many types of music that can help you get into the flow, music that tunes out distractions or helps while pursuing intellectual pursuits or while meditating. Experiment and see what works for you. Focus with intensity. In order to get into flow you have to be doing something you do well and love doing. You focus intensely and your subconscious takes over. Emotions. You can’t get into the flow when you’re anxious or afraid. On the other hand when you are passionate about something you have a greater chance of slipping into the zone. Mindfulness. It is a state of paying attention to the present. When you are mindful, you observe your thoughts and feelings from a distance without judgment. Mindfulness means living in the moment. Training your mind to intensely focus on a task is a key skill for excelling at anything. Being in the flow makes peak performance possible. An estimated 75% of all people experience some degree of anxiety or nervousness when public speaking. Symptoms can be either physical or verbal. The physical symptoms can include increased heart rate, increased blood pressure, increased perspiration, stiffening of neck and upper back muscles, and dry mouth. Physical symptoms have been found to be reduced with a category of medications called beta-blockers. Verbal symptoms can include a tense voice, a quivering voice, and vocalized pauses such as ahs and ums, which tend to comfort anxious speakers. If untreated, public speaking anxiety can cause serious detrimental effects on people, as it may prevent them from accomplishing their career goals – whether it is having to make presentations at work or in college. So – what to do? Help is available. There are numerous public speaking classes at local community colleges. There are public speaking courses held by Dale Carnegie Training. I feel that one of the best options is Toastmasters: http://www.toastmasters.org Toastmasters is a large organization that is organized into speaking clubs all over the world. Clubs often have around 20 members, and the members take turns giving short (5-7 minute) speeches and take on different roles to run the meeting. Each speaker has a chance to receive a short feedback session from another member of the club. The speeches are organized to practice various speaking skills. For example one speech may focus on how to organize your speech, whereas another speech project focuses on vocal variety. One speech focuses on gestures, while another focuses on using humor while speaking. After the first 10 speeches you receive recognition for your accomplishment. You will be surprised by how much you have learned and how much more at ease you are preparing a talk and speaking in front of a group. Enter your zip code and you’ll be surprised how many clubs exist in your area. If you can’t find a club that is convenient for you, you can contact your Toastmasters district and they can find someone who will help you start a club. Find two or more Toastmasters clubs that fit your schedule. Contact them and go as a guest to one of their meetings. Some clubs are smaller and that gives you the opportunity to give more speeches more quickly and even step up to take on a leadership role. Other clubs are larger and you will speak less often but you will have the opportunity to learn from more senior members as they give their speeches and you will have more time to prepare each speech you give. Once you have visited the clubs, join the one you liked best and begin your Toastmasters journey. By the way, there are also speech contests, district wide training and a conference. Take advantage of these opportunities to learn and grow. The USDA periodically updates what healthy Americans should eat. USDA stands for United States Department of Agriculture. The USDA administers programs that provide services to farmers. So it is not some health and wellness or medical organization that tells us what we should eat, but instead an organization that supports farmers. In addition there is heavy involvement of lobbyists who support the various branches of agriculture and the food industry. So who won the lobbying wars? Take a look at the “My Plate”. I’d say the dairy industry won this round’s top lobbying award. Dairy is protein, but instead of sharing nearly a quarter of the plate with fish, red meat, poultry, and legumes, Dairy gets its own section. And this is in spite of the many people who are lactose intolerant for whom dairy is not a healthy choice at all. A similar controversy surrounded the previous food pyramid. For instance, the pyramid recommended two to three servings from the protein-rich group, but this was intended to be a maximum. The pyramid recommended two to four fruit servings, but this was intended to be the minimum. The previous food pyramid and the “My Plate” also say nothing about drinking water, which is important for good health. Let’s look at food pyramids/eating guidelines from other cultures. The Mediterranean Diet Pyramid was created in conjunction with the World Health Organization. It, for example, relegates red meat into the ‘eat monthly’ category. It also shows the importance of drinking water and daily physical exercise. Note also that potatoes are grouped in with the grains/starches category, not under vegetables. 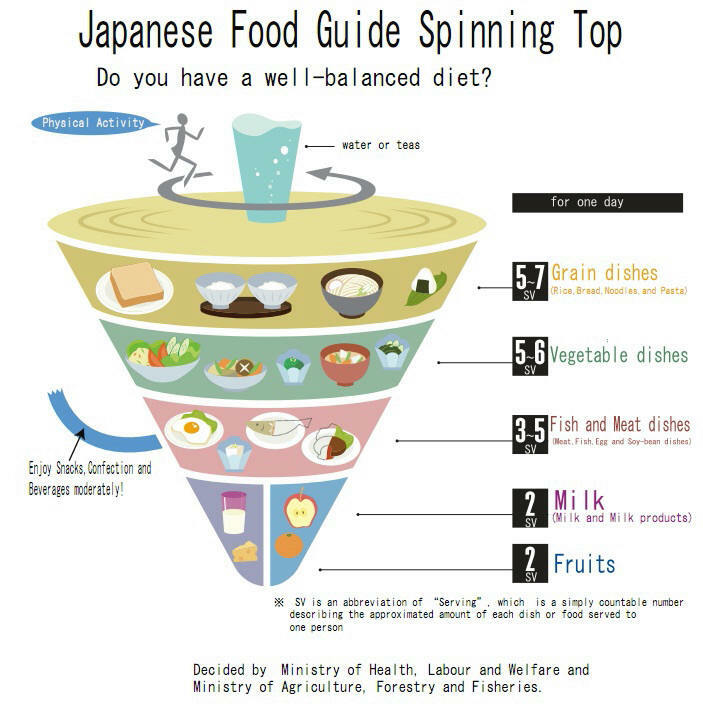 The Japanese Food Guide Spinning Top also shows the importance of water and exercise. It shows grains as the most consumed food, and fruits and dairy the least consumed with 2 servings each. 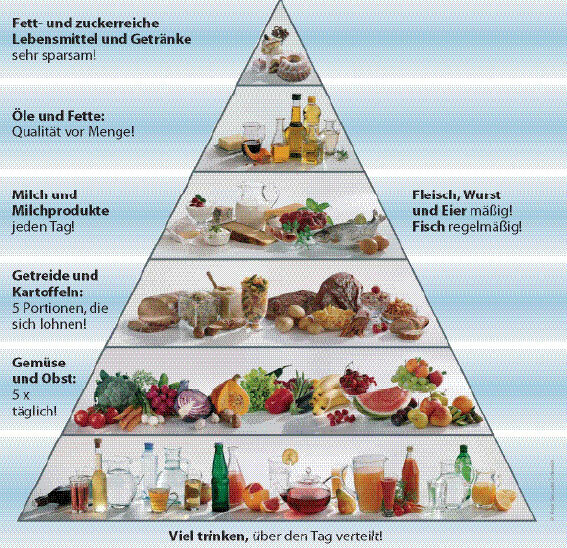 The German Food Pyramid starts with lots of liquids; next are 5 portions of fruits and vegetables; then 5 portions of grains and potatoes; Milk and milk products daily; meat, sausage and eggs in moderation; fish regularly; high quality oils and fats; and avoid foods and drinks high in sugar and fats. Clearly there are commonalities between the food guidelines, but there are also important differences. The Mediterranean and German food Pyramids are the only ones that point out to avoid sweets and other sugar-laden foods and drinks, whereas “My Plate” does not distinguish sugar-laden donuts and muffins from whole grain breads. There are many other food pyramids and eating guidelines from other countries. There are also eating guidelines for specific dietary needs such as vegetarians, vegans and diabetics. Among others I also found some humorous food pyramids. One German Food Pyramid consisted of Bratwurst, Pretzel, Beer, and eat all other foods sparingly! 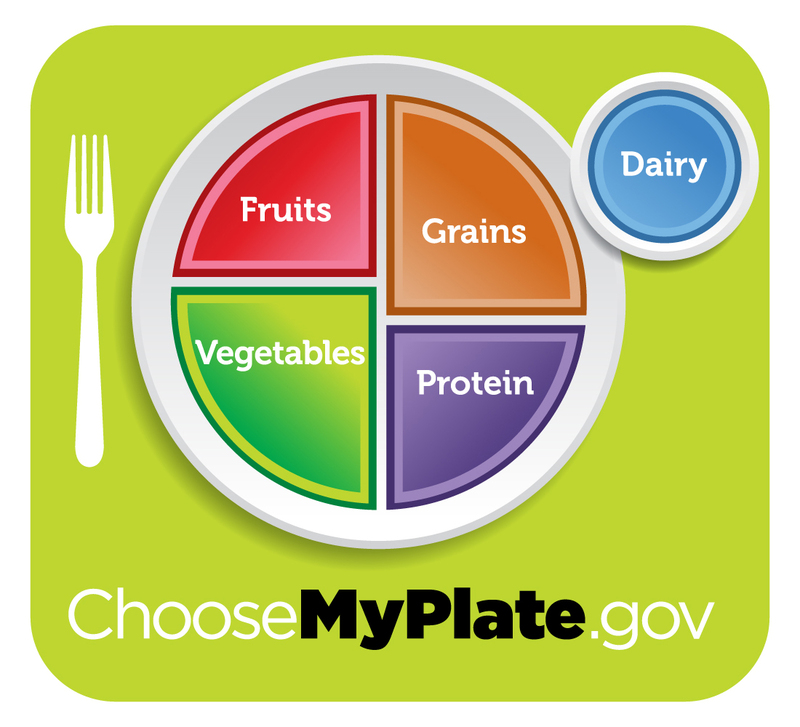 Compare the eating guidelines to notice common themes and do your best to eat a healthy diet. Eat a variety of foods to get lots of nutrients and keep the portion sizes small, so as not to overeat. Once I was looking for a specific book. I was working downtown Chicago and wanted to pick up the book after work. I called a bookstore near my office. While they were checking their inventory on the computer, suddenly a vision popped into my head of a large bookshelf in the store with the book I was looking for in the top right corner. When the store clerk came back on the phone she said that they were out of the book. The vision of this bookshelf was so vivid, that I decided to stop by the bookstore anyways. I found the bookshelf and lo and behold the book was exactly where I had seen it in my vision. Intuition doesn’t always come as a vision. It may come as a persistent or fleeting thought, a gut feel, goose bumps, or in a variety of other modalities. Learning to get in touch with this intuition is your first step. 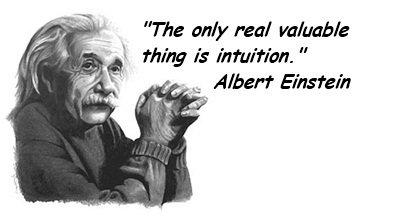 So why bother with your intuition? Here are a couple of very successful people who have followed their intuition and what they have to say about it. In the biography of Steve Jobs by Walter Isaacson “Steve said that ‘intuition is a very powerful thing, more powerful than intellect, in my opinion. That’s had a big impact on my work.’ You can see that intuitive sense in Jobs’ incredible ability to foresee – and then design – what users will want next. The iPhone is a great example. So how do we tap into this intuition and how do we distinguish it from experiences? One way is to enroll in the Silva Mind Control Training. http://www.silvaintuitionsystem.com/products I don’t get anything from recommending this link. I have taken the Silva training and have found it helpful. In the meanwhile what else can you do? Clear your mind: Focus on your breathing and allow your mind and body to relax more with each breath. You might even try counting down from 10 to 1 and allow yourself to relax more with each count. Once your mind is clearer, you can then access your intuition. Meditate: Clearing your mind of repetitive thoughts and worries will make it easier to listen to your intuition. Find a meditative technique you are comfortable using and practice. Listen to your gut: There’s a reason it’s called a “gut feeling”. Many times, a decision that you “know” is wrong makes you feel discomfort in your stomach area. Keep an intuition journal: spend some time writing out the intuition that you have like “I have a feelings that…” or “My intuition tells me that…” If there are any sensations associated with your intuition, such as a vision, or physical discomfort, be sure to record it. Looking back in your journal, see how often you are right. As you learn more about how to recognize your intuition, and you see it leading you in the right direction, your confidence will grow and so will your intuitive power. All of us have self-sabotaging inner voices that hold us back. 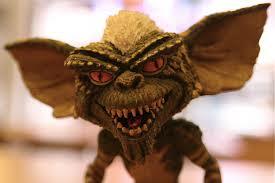 The job of this saboteur, inner critic or gremlin is to keep us safe, to keep us within our comfort zone. Therefore, when we contemplate doing something new, the saboteur wakes up to keep us in line. It’s no wonder that when we contemplate taking bold steps forward, we encounter the inner critic. This inner critic can come in a variety of voices and we can have an entire committee. These voices can be those of our parents, teachers, siblings, neighbors or other relatives. For example I know of a man who struggled to become truly successful in his career. His father had often criticized him and told him that he would never amount to anything. Only after his father passed away did this man become successful. But we don’t have to wait to become successful or move forward with our goals and dreams. One way to deal with our inner critic(s) is to describe him. What does s/he sound like? What is the voice saying? How would you describe this voice? May be you can even describe the person of the inner critic. This all helps to identify the voice of the inner critic as separate from you. Once you realize that the inner critic is separate from you, you can decide who is boss. You can appreciate the inner critic for trying to keep you safe and within your comfort zone and then boldly move ahead towards your goals and plans anyways. Another way to silence that inner critic or negative self-talk is to turn to a positive voice. May be you can think of a person who is or was a positive and supportive influence, may be you can think of someone famous whose wisdom you admire. May be you make up a person with the positive supporting qualities you wish you could turn to for guidance. Then, when you want to take bold steps forward, in your imagination you ask this supportive person what you should do. Try it! You might be surprised by the outcome. With practice you can silence the inner critic’s voice more and more often and follow your internal wisdom. Schedule a complimentary coaching consultation. See what changes for the better I can help you with. Call now: 847-913-3900 or email Edith@esCoach.com.